The Bank of England governor and an influential think tank have predicted that the UK economy is likely to sink into recession in 2009. 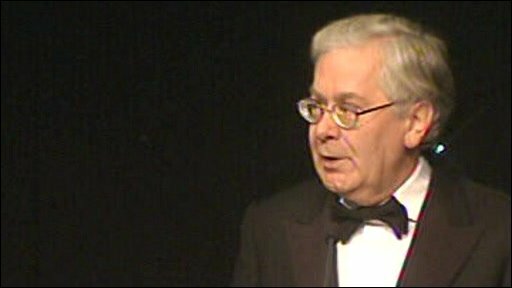 Mervyn King told business leaders in Leeds he was concerned about rising unemployment and falling house prices. Meanwhile, the National Institute of Economic and Social Research said the UK was on the brink of its first full year of recession since 1991. Economic fears sent the pound plunging to a five-year low against the dollar. The Bank of England has also been criticised for being too slow to cut interest rates in response to the UK's worsening economic climate. Sushil Wadhwani, a former member of its monetary policy committee, told the BBC: "The committee has been too slow to acknowledge the risks of a recession and they have fallen behind the curve. "The consequence of their relative inactivity so far is that the recession is likely to be deeper and more prolonged than was necessary." In its forecast, the NIESR predicted that Britain's economy would shrink by 0.9% in 2009, with consumer spending falling by 3.4%, business investment down by 3.8% and private housing investment 17.1% lower. It also warned that if the government's £50bn banking bail-out did not succeed, the recession could be even deeper and longer. "The British economy will suffer next year as it experiences the worst setback among the G7 countries," it said. The NIESR said its forecasts assumed that the Bank of England would cut interest rates to 4% early in 2009, although that would probably not be enough to bring inflation below its 2% target before the end of the year. Speaking on Tuesday night, Mr King said: "It now seems likely the UK is entering a recession." He also said the British banking system had been closer to collapse earlier this month than at any time since the start of World War I. But he did try to inject a note of optimism, saying that the government's rescue package would now lead to a slow resumption of normal lending. "We are far from the end of the road back to stability, but the plan to recapitalise our banking system, both here and abroad, will, I believe, come to be seen as the moment in the banking crisis of the past year when we turned the corner," he said. Nevertheless, he said, the "age of innocence" of cheap lending between banks "will not quickly, if ever, return". Moving on to inflation, the governor said there were welcome signs that it would come down from the "worryingly high rate" of 5.2% in September. He said this was thanks to recent falls in energy prices back from the record highs of July. While Mr King said the Bank of England was committed to bringing inflation back towards the government's 2% target, he more than hinted that there would be no rate rises for the foreseeable future. He said the Bank would continue to set rates "to meet the 2% inflation target, not next month, or the month after, but further ahead, when the impact of recent developments in both credit supply and world commodity prices will have worked their way through the economy". Concluding his speech, Mr King said he hoped for quieter times ahead. "I have said many times that successful monetary policy would appear to be rather boring. "So let me extend an invitation to the banking industry to join me in promoting the idea that a little more boredom would be no bad thing."